Is Jesus Christ derived from Lord Krishna? Hindus discovered medicinal values of Marijuana (Bhang) - Why does Lord Shiva drink bhang? Why God can't be just a powerful alien being according to Hinduism? Yes, ancient Indians mathematicians discovered Pythagoras theorem! This might come as a surprise to many, but it's true that Pythagoras theorem was known much before Pythagoras and it was Indians who actually discovered it at least 1000 years before Pythagoras was born! 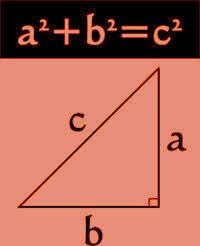 It seems that Pythagoras stole this theorem from India and was given credit for it. It's one of the many examples of cases when Greek mathematicians/scientists took credit of various Indian discoveries/inventions and the original Indian contributers were forgotten. 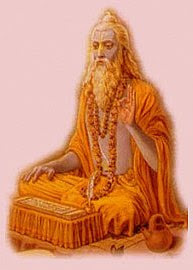 dīrghasyākṣaṇayā rajjuH pārśvamānī, tiryaDaM mānī, cha yatpṛthagbhUte kurutastadubhayāṅ karoti. Interestingly, Baudhāyana used a rope as an example in the above shloka which can be translated as - A rope stretched along the length of the diagonal produces an area which the vertical and horizontal sides make together. As you see, it becomes clear that this is perhaps the most intuitive way of understanding and visualizing Pythagoras theorem (and geometry in general) and Baudhāyana seems to have simplified the process of learning by encapsulating the mathematical result in a simple shloka in a layman's language (sanskrit was the language of choice back then). The diagonal of a rectangle produces by itself both (the areas) produced separately by its two sides. The implications of the above statement are profound because it is directly translated into Pythagorean theorem (and graphically represented in the picutre on the left) and it becomes evident that Baudhāyana proved Pythagoras theorem using area calculation and not geometry (as shown in the picture on left). Since most of the later proofs (presented by Euclid and others) are geometrical in nature, the Sulba Sutra's numerical proof was unfortunately ignored. As I mentioned before though, Baudhāyana was not the only Indian mathematician to have provided pythagorean triplets and proof. 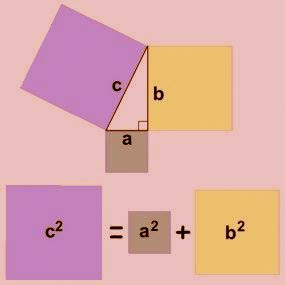 Āpastamba also provided the proof for Pythagoras theorem, which again is numerical in nature but again unfortunately this vital contribution has been ignored and Pythagoras was wrongly credited by Cicero and early Greek mathematicians for this theorem. For the sake of completeness, I should also mention that Baudhāyana also presented a geometrical proof using isosceles triangles so, to be more accurate, we attribute the geometrical proof to Baudhāyana and numerical (using number theory and area computation) proof to Āpastamba. 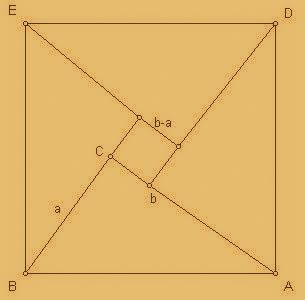 Also, another ancient Indian mathematician called Bhaskara later provided a unique geometrical proof as well (picuture illustrating Bhaskara's proof on right) which is known for the fact that it's truly generalized and works for all sorts of triangles and is not incongruent (not just isosceles as in some older proofs). One thing that is really interesting is that Pythagoras was not credited for this theorem till atleast three centuries after! It was much later when Cicero and other greek philosophers/mathematicians/historians decided to tell the world that it was Pythagoras that came up with this theorem! How utterly ridiculous! In fact, later on many historians have tried to prove the relation between Pythagoras theorem and Pythagoras but have failed miserably. In fact, the only relation that historians have been able to trace it to is with Euclid, who again came many centuries after Pythagoras! This fact itself means that they just wanted to use some of their own to name this theorem after and discredit the much ancient Indian mathematicians without whose contribution it could've been impossible to create the very basis of algebra and geometry! Many historians have also presented evidence for the fact that Pythagoras actually travelled to Egypt and then India and learned many important mathematical theories (including Pythagoras theorem) that western world didn't know of back then! So, it's very much possible that Pythagoras learned this theorem during his visit to India but hid his source of knowledge he went back to greece! This would also partially explain why greeks were so reserved in crediting Pythagoras with this theorem! Looking at the implications of such fundamental laws like Pythagorean theorem that have been so grossly wrongly credited to greek mathematicians who have nothing to do with them, I wonder how many more other important ancient Indian discoveries and inventions have been wrongly credited so far! To learn more about Indian God Hanuman, click - Hanuman, the Rudravatar and the strongest but humble Indian god! Antikythera mechanism - world's first computer - invented by Indians or Greeks? Yes, India is the place where most of the scientific, mathematical and philosophical knowledge and ideas originated. There are so many things that have either been lost or mis-credited to westerners or persians etc but when we start looking deeply, we can trace a lot of them back to ancient Indian scientists. It is relly a good article and completely unknown to our youth who use this concept in their daily life. However this has become the past and now it is the time to first find out something new and do proper marketing of it, once we will suceed in it then we will be in much better position to put these facts against the world. Yes, this is just one of the thousands of scientific inventions/discoveries that Hindus made but were forgotten. I also agree that we need to stand up and come on top again and I hope that our generation will remember how our ancestors revolutionized the world once and strive to do it yet again! While searching information for my daughter’s school project, I looked for Indian Mathematicians and after reading about tham, I am amazed to note that they were simply out of this world and out of this time! They were so brilliant that even today some of their calculations could not be improved! Indian Mathematicians in old times wrote their work in verses and in Sanskrit, the most perfect language in the world even today. Thus their work were accurately written and understood. They were also easy to remember as poetry is remembered better than prose! There seems to be no documented evidence that Pythagorus ever visited India.Please do not quote Voltaire.Mere assertion won't do. We are proud to be an Indian. It's not just of kind of discoveries which we did in vedic periods. We are rich in monetary terms also. As we can see how much corrupt a government official is still after so much of corruption we are 4th largest economy in the world. NO COUNTRY CAN COMPETE WITH OUR COUNTRY...!! Lets highlight this in our respective countries...doing it in India first should be the first step. Why cant our textbooks be updated with the correct source ..? proud to be an Indian, in fact gravity was too discovered in ancient India. I currently work for a multifaceted organization, which contains several different diverse business divisions. I created 5 mathematical metrics to access each divisions performance standards. The General Manager of my organization was impressed, and asked where my first metric had come from, I explained to him that I wrote it, and I also mentioned step by step how I created it. Several weeks later he emailed another professional organization my metric, but gave the credit of my work to another source, and then also mentioned that he modified the metric from that source to suit our organization. I was completely heartbroken that he would do this. I have dark skin, and he is a white European. Some Europeans possess a racist, ego centric view, which renders them incapable of giving credit to any other culture besides their own, especially when it comes to any mathematical, scientific, or intellectual brilliance. This article features a mathematical crime that occurred several hundred years ago, but unfortunately as we can see from my personal experience, some Europeans are still willing to conduct this same exact crime of intellectual theft. In the end, the organization which my employer showed the metrics to, asked for more information about the mathematical concepts, and he could not explain the math correctly, but had to admit that I actually came up with the concept, this was how I finally got the credit, and acknowledgement for my work. Jai Sree Ram. We all commit sins knowingly and unknowingly.You can ask for forgiveness by reciting the hanuman chalisa . Reciting the opening verses of the Hanuman Chalisa at night at least 8 times helps to remove the sins you may have committed. What do you mean to say? I can commit any sin and rid myself of it by just reciting the hanuman chalisa? So why dont I murder you and recite it? That wil rid me of my sin right?